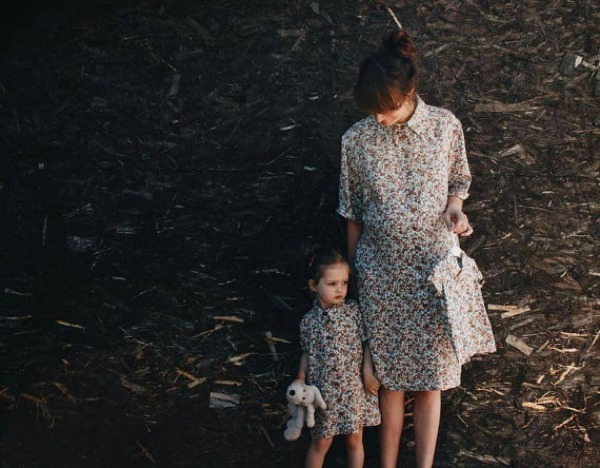 I love the idea of dressing up to match my daughter. We haven’t done it properly yet, but these gorgeous dresses from Off On are going to have us paired up in no time! Off On is a clothing store from Lithuania that lives on a website full of our favourite things: Etsy. The unique clothing designs are handmade in Vilnius – the country’s capital. Check out the shop’s Mother and Daughter range for yourself but my personal favourite design is the sublime red and black flower print featured at the top of this post. It is absolutely adorable and would be so much fun for a spring outing. If you’re into the current shirt-dress craze then you might also like this more neutral flower design (above). If you have a sibling on the way like the lovely lady in this image, you can do what she is doing and get the dress in three different sizes! Corny? 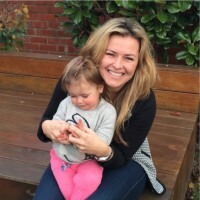 Perhaps, but if you’ve learnt anything about me during my time so far at Babyology then you’ll know I’m always up for corny. My final favourite is a superb one for our fast-approaching (hooray!) summer. In a stunning mint colour, the vintage beach print design pictured above is stunning. Another great thing about this store is that you can ask for a custom size (using your measurements) or choose from the available sizes. Size details are in the description section of each of the clothing item pages. 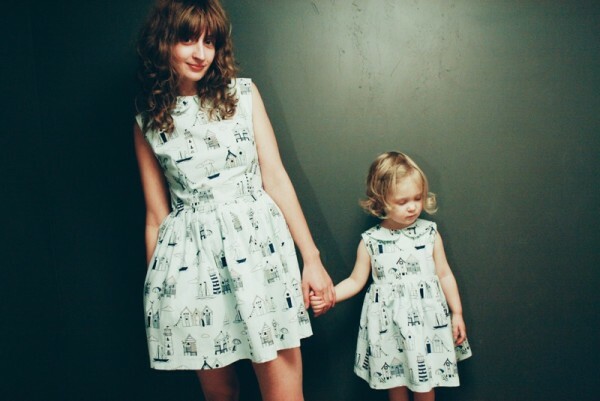 Head to the Mother and Daughter section of Off On’s Etsy page to browse the label’s adorable designs. You can pick up a pair of dresses for between $160 and $260, depending on the design you choose. Happy shopping for you and your precious daughter.